Catherine Rogers shows new photographs from the Tarkine region of north-west Tasmania. Photographs of another landscape marked for destruction. 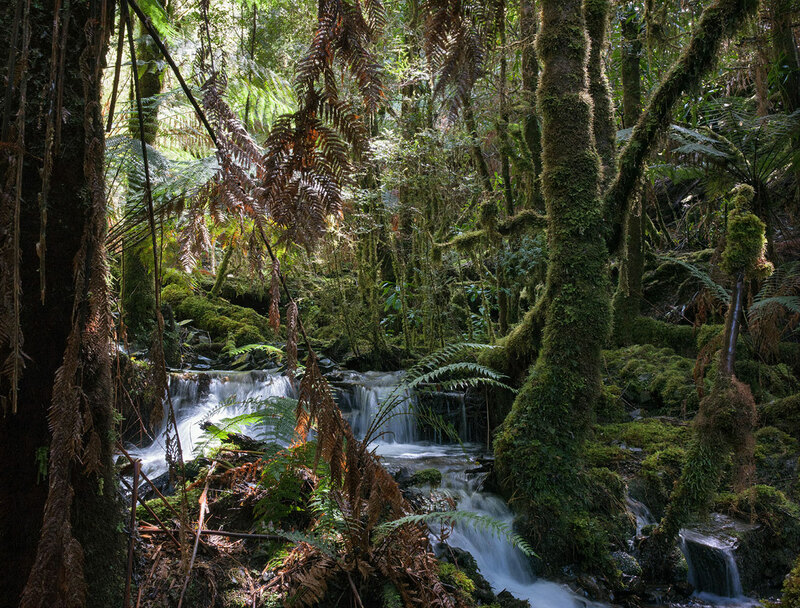 The Tarkine is Australia’s largest remaining tract of cool temperate rainforest – it is also one of the very few unprotected wild places left. The Tarkine landscape comprises wild coastal areas and button grass plains, pristine rivers and ancient rainforests. The magnificent myrtle forests of the Tarkine are under attack – not from logging this time – but from open cut mining. Exploration has already started in the forests and hundreds of test shafts driven deep into the hillsides. Ten open cut strip mines are proposed, and 56 more exploration licenses have been granted. The Tarkine will be effectively destroyed should even a fraction of these hugely destructive mining proposals go ahead.